As part of our study of Bolivia and the “Around the World in 12 Dishes” series, we looked more closely at one of the great symbols of the Andes – the condor. A really great online resource about the Andean condor (cousin to the also endangered California condor) is, of course, National Geographic. The condor had been respected by the native Andeans as a mystical bird, but the newly arrived Spanish saw it as a nuisance. Ironically, the Spanish hunted it to near extinction out of a mistaken belief that it was killing their cattle. Yet this was not the case, as the condor is a scavenger, meaning it feeds off of carrion (dead meat), just like a vulture. My Monkey was quite indignant over this devastating mistake: “They should have killed the eagles instead!” he told me many times. Well, not quite the “living in harmony with the natural world” sentiment I was aiming for, but at least he does have an emotional attachment to the condor! The Andean condor is one of the largest flying birds on the planet – in fact, it is the largest if you go by wingspan, as they measure an enormous 10 feet (3 meters) from tip to tip. They need that wing power, as they are also some of the heaviest flying birds around! To help Monkey get a sense of just how large these birds were, we did an activity based on a display I saw at our local zoo. The idea is to have children measure their own “wingspan” and compare it to the wingspans of various birds, including the condor. First we researched the wingspans of various birds, from the Andean and California condors to the hummingbird. Then, of course, we measured his! Then we marked the measurements all on our floor with masking tape. (We had planned to do more birds, but Little Monkey thought the game was to pull up all of the tape markings as soon as we had put them down, so we decided to keep our list relatively brief). We first marked a spot that would serve as our center then marked each wingspan on either side of this, so that when you look down at the floor, the wingspans line up on top of each other and you can really see how they size up. Beyond learning about the Andean condor and other birds, this is a great exercise in measuring and counting. Older kids could also help halve the wingspan measurements, since half (one wing) is on either side of the middle mark. Be sure to enter our amazing giveaway! Most prizes are for US and Canada shipping only. Earth Day is almost here, though it’s always a good time to share with your kids the importance of caring for our planet! Here is a list of some great books that we have enjoyed reading that help kids understand the interconnectedness of our lives with the natural world and how to live in harmony with it. Disclosure: This post contains affiliate links. If you click through and make a purchase, I receive a small commission. I received complimentary copies of several of the books below; however, all opinions are my own. A new title from Wisdom Tales Press is When the Animals Saved Earth, retold by Alexis York Lumbard and illustrated by Demi. It is the fable about humanity’s arrival on a blue and green island and the disastrous consequences of their greedy, short-sighted treatment of the land and animals. To answer for their crimes they are brought before the powerful Spirit King. Now, lest you think this a very modern, hippy-dippy tale, the author’s note details its long pedigree, beginning in 10th century Iraq, through medieval Europe until recent times. It is sure to spark great discussions with your children about how to treat the earth, whether humanity should be punished for how it has abused nature, and if so, what should that punishment be? I love the concept of Just Like Me, Climbing a Tree: Exploring Trees Around the World. The book works well on so many levels: The simple but lyrical text invites children to imagine themselves climbing in trees, hanging like monkeys or watching caterpillars, just as the diverse children in the book are doing. The twist is that each child in the book sits in a different tree, native to their country – from Cambodia to California. The trees are illustrated in beautiful detail, and it is easy to imagine oneself perched atop each one of them, looking down on the lively scenes below. Young readers can easily see the strong thread connecting all of us as we enjoy our natural world. Another wonderful story from Wisdom Tales is The Otter, the Spotted Frog, and the Great Flood, a Creation tale from the Creek Indians retold by Gerald Hausman. It teaches a wonderful lesson about the importance of paying attention to even the smallest creatures. (Read my full review). were given to us when we were expecting Monkey. Both books are beautiful imaginings of the joy a child’s birth brings to the natural world. Animals carry the news from one species to the other until they all are celebrating, including polar bears that stay up all night dancing (this is why they always seem so sleepy at the zoo!) The earth also pledges to hold the child in place with gravity, and the sun promises to bring a cheerful face to it each day. These are wonderful stories to help your little one see himself as a vital part of a loving universe, which watches over him with great joy and care. by DyAnne DiSalvo-Ryan. I love that this book shows about how you can appreciate nature wherever you live, even in a big city. It is also about the power of coming together as a community and the importance of beauty to the life of the spirit. Through one girl’s passion and confidence, neighbors work together to transform an abandoned lot into a beautiful garden, and in the process re-awaken kindness in even the most unlikely people. 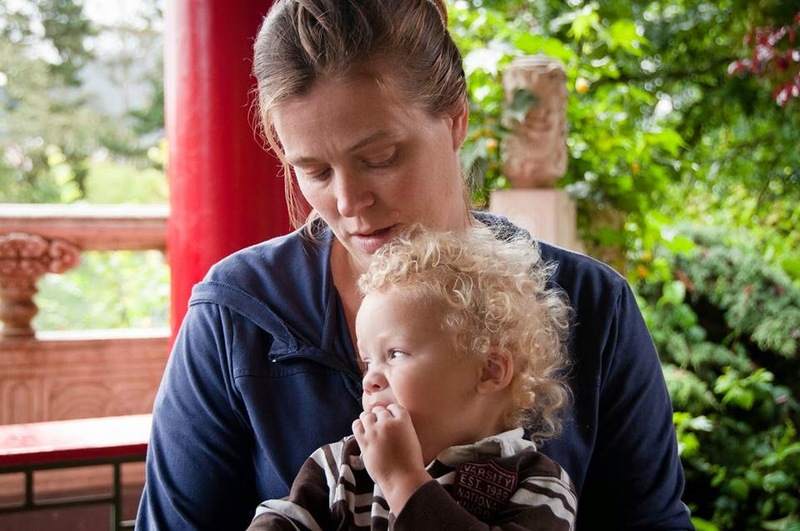 Giselle Shardlow of Kids Yoga Stories has a number of wonderful children’s books that gently teach about the importance of caring for the natural world. Sophia’s Jungle Adventure, for example, is the story of a young girl who travels to Costa Rica and in the process learns about how the natural habitat there is being threatened by humans. (Read my full review). In Luke’s Beach Day, a boy and his classmates visit an Australian beach only to discover signs of destruction by other people. In both books, young readers are empowered to follow in the footsteps of the protagonists as they pick up litter and vow to raise awareness about the importance of protecting wildlife. Plus, they learn really cool yoga moves in the process! Interestingly, many children’s books about environmentalism (including Sophia’s Jungle Adventure above) are set in Costa Rica, which has a well-deserved reputation for environmentalism. Morpha: A Rain Forest Story by Michael Tennyson is a gorgeously illustrated book that follows the life of a young Blue Morpho butterfly as it learns to navigate the perils of the rain forest, including humans. See my list of children’s books about Costa Rica for more great books about caring for the natural world. by Holly Keller is a beautiful tale of faith in the power of the natural world to heal itself and the importance of our role in giving it space to do so. Nam’s grandfather believes that the cranes, who left their village when the wetlands were destroyed, will return with the season’s floods now that the fighting has ending. But if they do not, the land that he has set aside for them will be turned into farmland. It is Nam who discovers the birds’ long-awaited return, bringing joy to his grandfather and beginning the process of healing the wounds of war in their village. Finally, the charming book from Lee & Low, I Know the River Knows My Name by Maya Christina Gonzalez, shows a young girl’s relationship with the river through the changing seasons of the year. Whenever she arrives, the river greets her, and the two friends always take care of each other. (Read my full review). 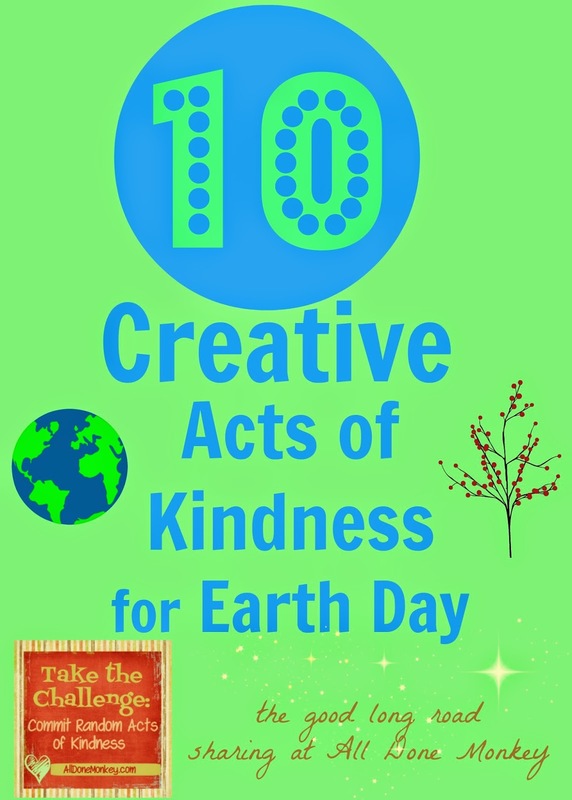 What are your favorite Earth Day books for kids?